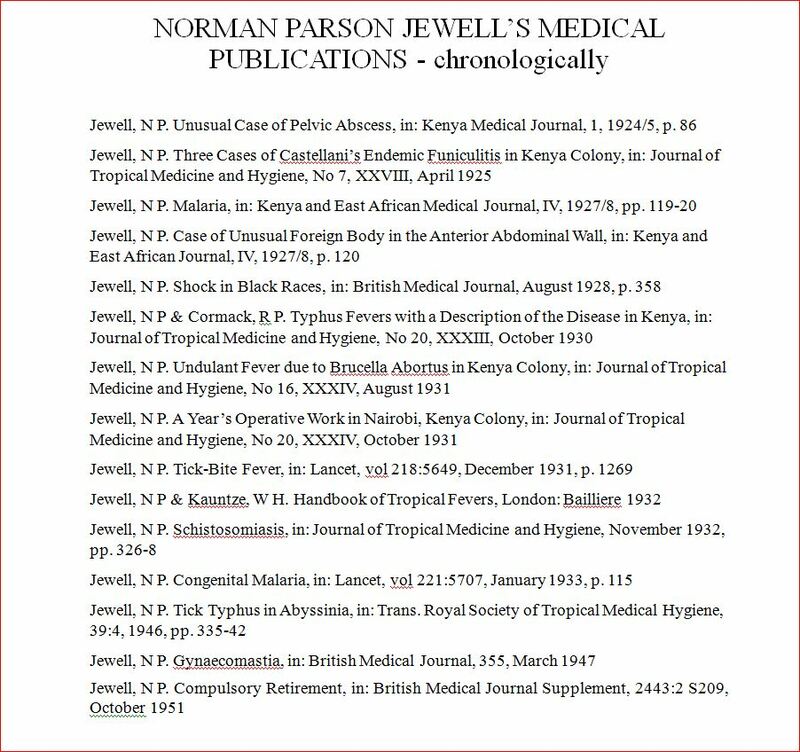 The focus of Norman’s memoirs On Call in Africa – in War and Peace is the period of his life that he spent as a young doctor in Seychelles (1910-1914), in the Colonial Medical Service and army in East Africa during the First World War (1914-19), and in Kenya working in the Colonial Medical Service (1920-1932). 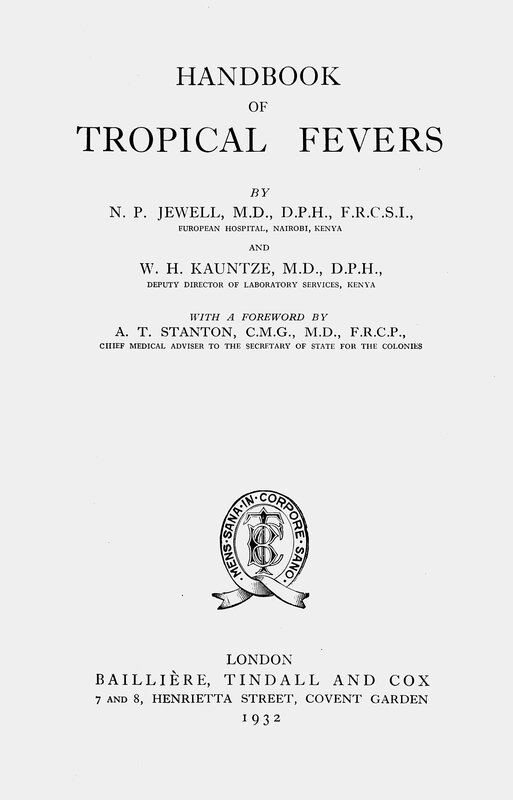 His memoirs record details of his early life, prior to his appointment to Seychelles. Norman’s father, Thomas Jewell, died prematurely when he was 28 years old and Norman was still in his infancy. Following his father’s death, his mother, Colonna de Burgh Lewis, decided to enter drama school and subsequently remarried. When Norman was three years old, arrangements were made for him to be brought up by his maternal grandparents, John Richard Lewis who was a veterinary surgeon and his wife Charlotte Eliza Lewis. His grandparents moved from County Antrim, where they had been living, to Dublin and he was brought up by them in the Rathmines area of Dublin. Due to his grandfather’s decision not to overtax his young brain, and thus risk suffering the early demise of his father from a brain hemorrhage, Norman was ten years old before he entered formal schooling. This proved to be a very considerable hurdle for him to overcome. In his memoirs, Norman modestly remembers: “I was a dayboy at St Andrew’s College and enjoyed my school days very much. As an athlete I was better than I was a scholar, but was not a very good athlete either. I had one distinction in school, bestowed on me by one of the masters, and that was that I had more useless knowledge than any boy he had ever known”. “I was faced with an arts course as well as a medical course. Unfortunately I had not done physics and chemistry at school so I did not get much help from the lectures in those subjects, as it was much above my head. In the summer term the medical lectures changed to botany and zoology and again I had no previous knowledge of these subjects and there was to be an exam in all four subjects at the end of term”. This sense of not being as formally educated as his fellow students and therefore being at a disadvantage shaped his expectations and he reports: “When the exams were over, I found to my great joy and surprise that I had passed in all four subjects and there were not many that had done so. This gave me a great morale uplift and although I had always a feeling of inferiority to the majority of my fellow students I felt I was able to learn enough to get my degree and in fact I went through the arts and the medical school without failing in any examinations”. Norman was a keen sportsman too and notes that: “I joined the College Harriers and decided to run in the College Races, so I trained every day in the College Park with other would be athletes. I was fortunate enough to win the 120yds and 220yds handicap races from a sort of halfway mark between the scratch men and the limit men. I got promoted from the 3rd XV to the 1st XV and played wing three quarter, I also managed to win the Middleweight Boxing Championship of the University”. “In the summer term I managed to pass the half MB exam and also the Intermediate Part 1. In October 1905 I joined Sir Patrick Dun’s Hospital and began learning my profession in practice. I also got on the hospital rugby side as a substitute and played through the Hospital Cup matches, and I am glad to say we won the Cup. So, by stages, I got through my examinations and became a Moderator of TCD and next year, in 1907, MB.BCh, BAO and was successful in obtaining the LM in midwifery of the Rotunda”. For his first three years as a young doctor, Norman worked in Dublin. He notes: “After leaving University, I was assistant at Sir Patrick Dun’s Hospital to Dr Wilson, the gynaecologist and later to Sir Robert Woods, the Ear, Nose and Throat specialist. Later I became anaesthetist to Sir Patrick Dun’s Hospital and incidentally captained the Hospital Rugby XV in the Hospital Cup competition”. “On Saturday mornings I used to go to the Children’s Hospital in Harcourt Street and became a sort of ‘hanger on’ assistant to Sir Lambert Ormsby and eventually was allowed to finish any operations left over when Sir Lambert was called away”. Without any explanation in his memoirs, Norman notes that: In 1910, I joined the Colonial Medical Services as Assistant Medical Officer and Justice of the Peace to the Praslin group of islands in the Seychelles.